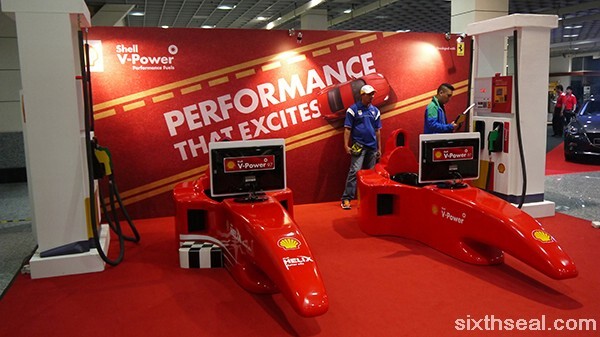 Driving with Shell V-Power Racing! 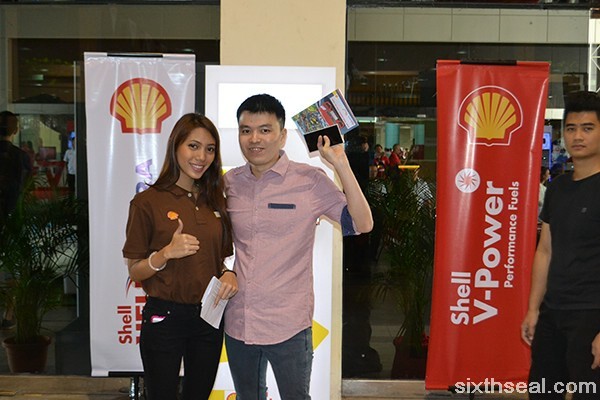 The first time I experienced Shell V-Power Racing was earlier this year. I liked how it works for me, so I did a bit of reading up. 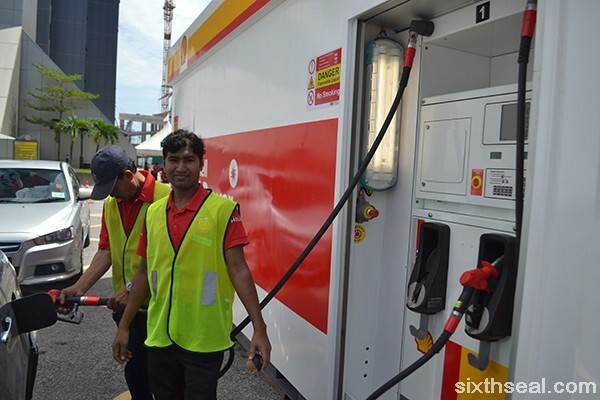 To my surprise, I found out that it’s the first performance fuel in Malaysia, which has been around for 10 years! Can’t believe that it’s been around for a decade and I only got to know about in it 2016! 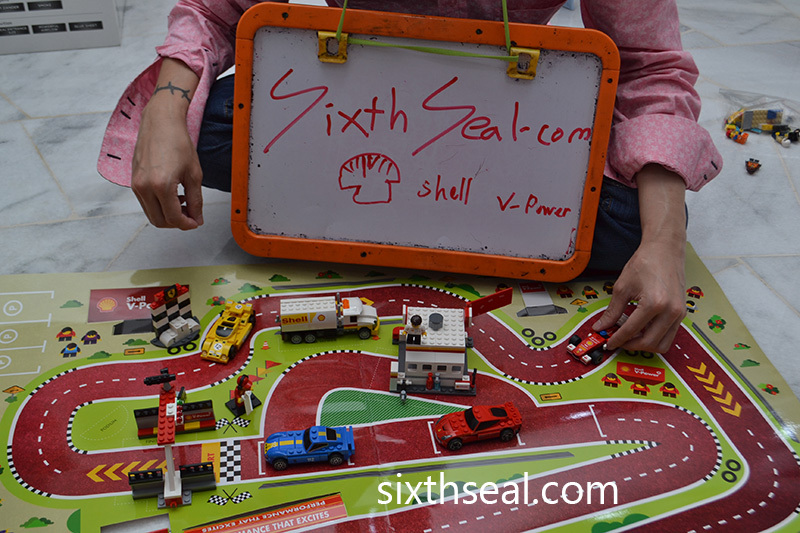 Anyway, I tested it out recently and was pleasantly surprised, which was when I started using Shell V-Power Racing. I’ve been using it for 2 weeks since and it’s been very beneficial to me, as someone who drives a lot every day, a road warrior if you will (though not the Mad Max kind). You can really feel the performance when accelerating from a dead stop. Shell V-Power Racing is formulated by 120 scientists and specialists around the world dedicated to the research and development of fuel. 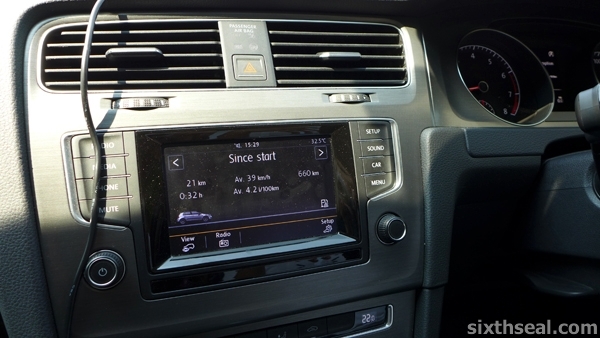 When you start accelerating from traffic lights (for example), you can really feel the fuel unlock a lot more power from the engine and better yet, it’s now Euro 4M compliant, so the emission standards are better for modern Euro 4-compliant cars too. 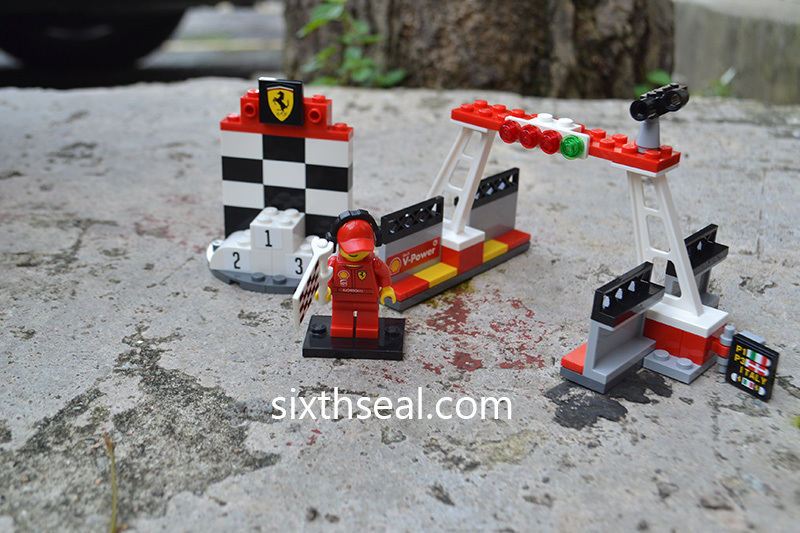 Shell develops the fuel by leveraging its Technical Partnership with Ferrari. Shell V-Power Racing contains a unique double action formulation, which is designed to unlock the potential of your car and actively clean your engine, in addition to reducing friction to produce more power. Awesome stuff! 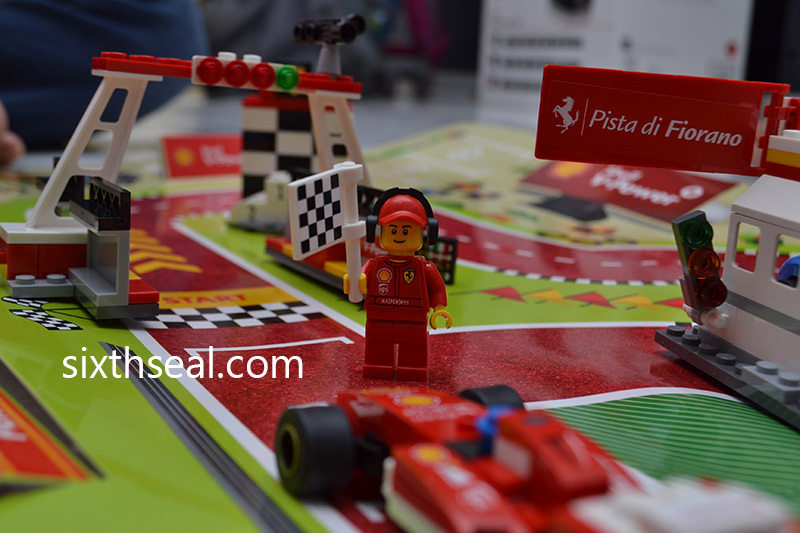 Shell V-Power Racing uses the same Friction Modification Technology (FMT) used in Shell V-Power race fuel by Ferrari Formula 1 cars. 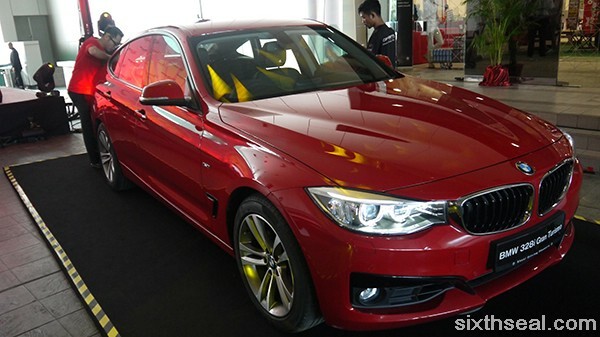 It’s designed to reduce friction by introducing a surface coating component, which protects critical engine parts. I really like how Shell V-Power Racing cleans my engine while I’m driving and I’m sure that will have a lot of benefits down the road. Shell V-Power Racing also helps unlock valuable energy by enabling a more efficient energy transfer from the fuel to the wheels. 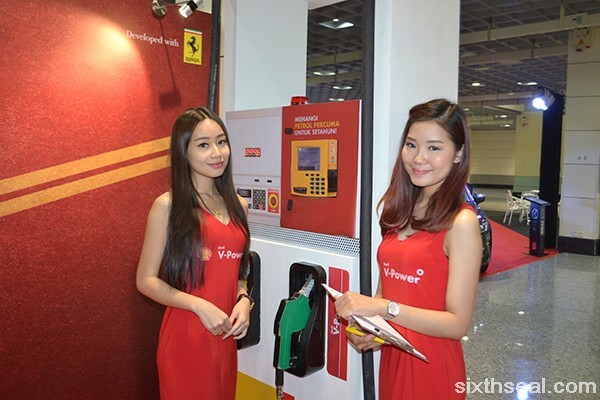 The way Shell V-Power Racing removes existing deposits can also enhance the responsiveness of your engine and with regular usage, Shell V-Power Racing can even help maintain a new car’s performance and in some cases, even recapture an engine’s performance! 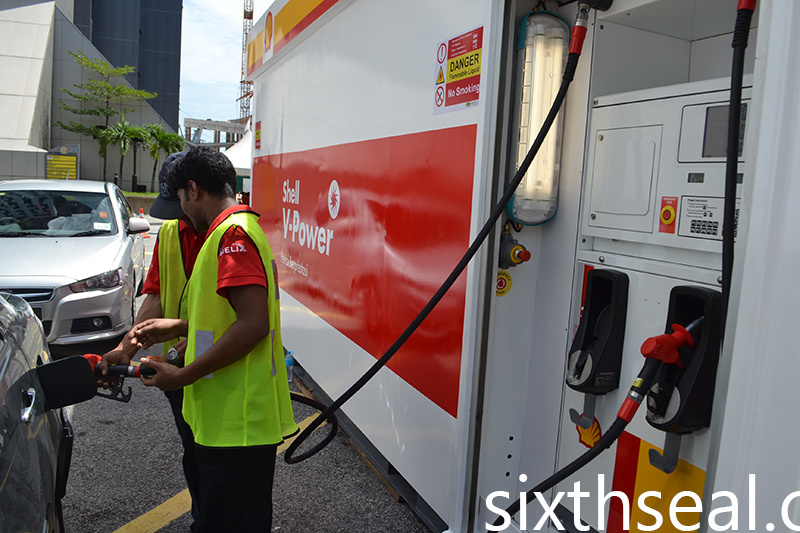 Interesting fact: Shell V-Power race fuel supplied to Scuderia Ferrari’s Formula 1 team contains at least 99% of the same types of compounds normally found in the Shell V-Power Racing road fuel we get in Shell stations in Malaysia! It’s nice to finally have a performance fuel, which not only actively cleans your engine, but is also formulated to reduce friction in critical engine areas and deliver high performance. These benefits are designed to give you an edge throughout the day, whether you are making short or long trips. 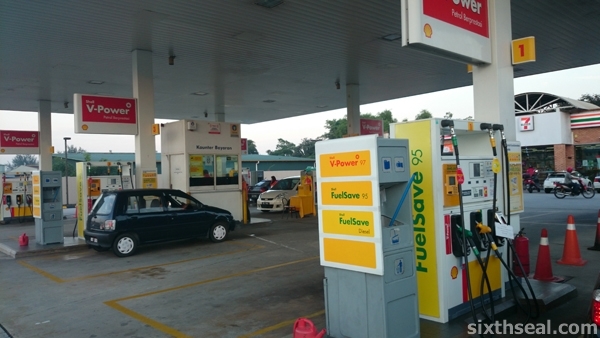 Shell V-Power Racing is now available in over 45 stations around Malaysia. 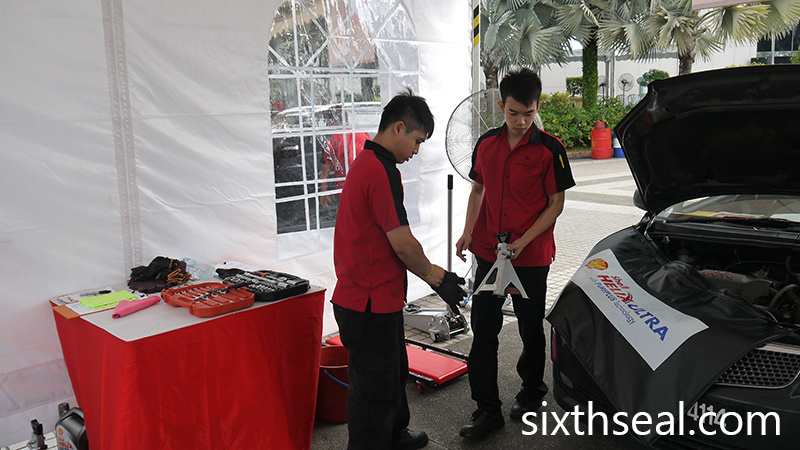 Drive into your nearest Shell station now or check out the list of stations where Shell V-Power Racing is available. I’ve always liked to go on road trips. It’s just the idea of heading out to someplace different and spending the night (or three) there, all the while enjoying the local quirks, culture and people that appeals to me. 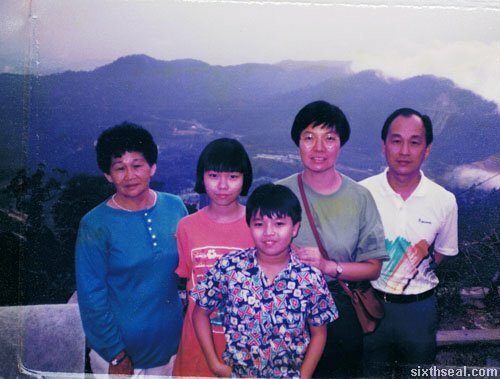 I’ve been doing this for a very long time, ever since I graduated from university and came back to Kuching to start-up a tech company. The best thing about road trips is that a group of like-minded people can get together during the weekend and just go somewhere, anywhere. Part of the appeal is to explore and discover. 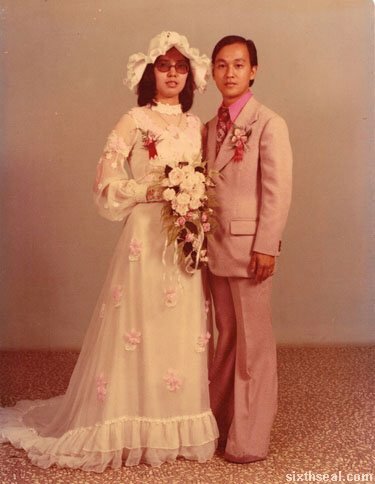 I remember one of the early road trips where it took us two weeks (!!!) to find the place in question. 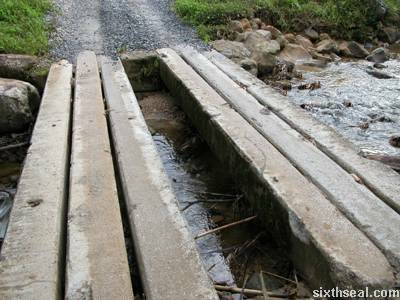 The first time we set out, we totally missed our destination – the signage was close to non-existent and we got stuck on an unpaved muddy logging road, but still made the best of the experience. It’s the journey that matters right? 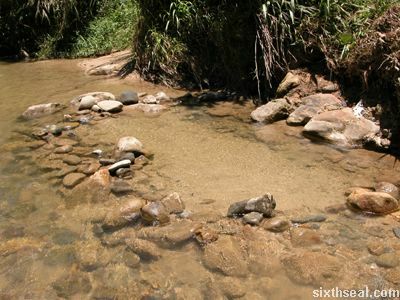 We managed to reach Annah Rais Hot Springs the second time. 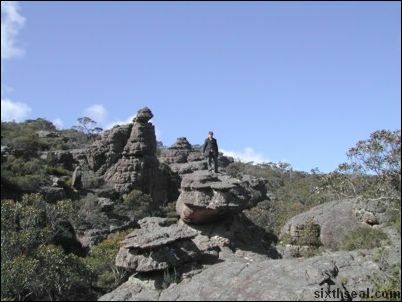 I’ve had a love of road trips since I was a kid – my dad used to bring me around and I think the earliest documented road trip on my blog was to The Grampians in Victoria while I was studying in Melbourne. 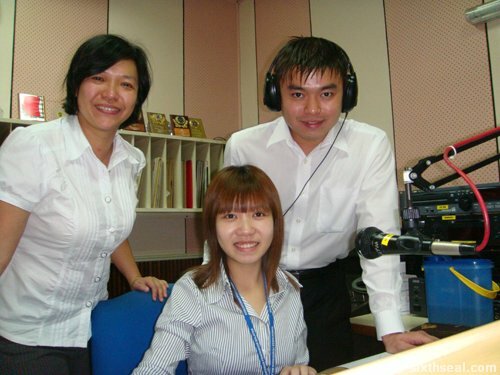 Yup, that was in 2002 and I still haven’t lost my passion for it. 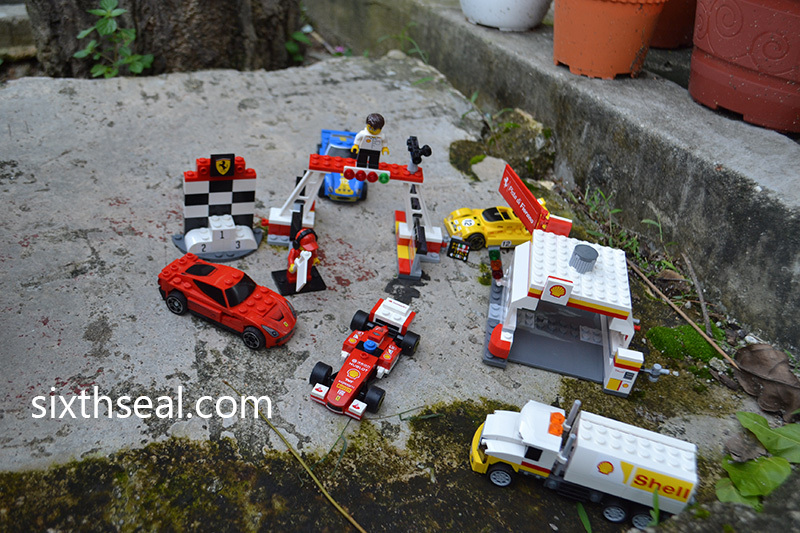 I recently got a complete engine rejuvenation from Shell. 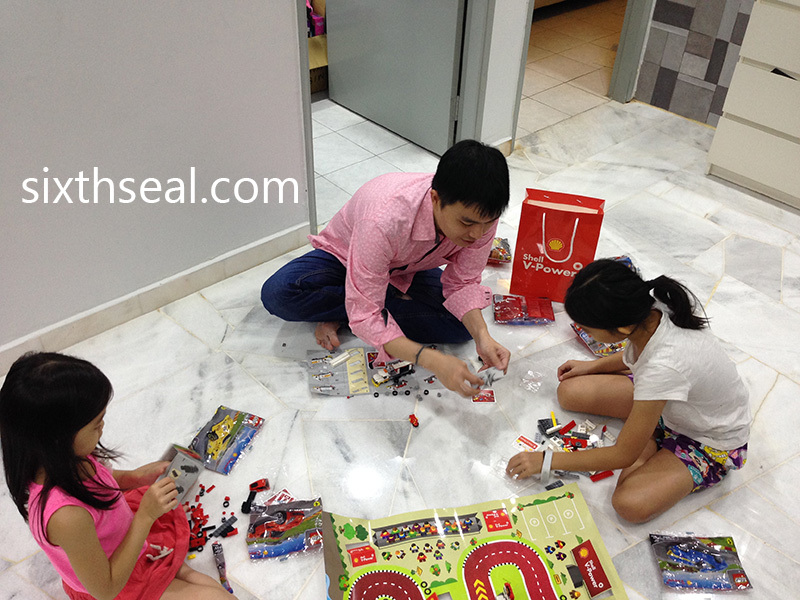 My engine oil was switched to Shell Helix Ultra with PurePlus Technology – it’s a fully synthetic motor oil and the only motor oil in the market that has a base oil made from natural gas instead of the usual crude oil. It’s so pure that it cleanses your car from the inside out! I have noticed a huge improvement in my mileage since the Shell Helix Ultra with PurePlus Technology. I hadn’t realized the two were connected! I always keep an eye on my odometer to see how I’m doing in the fuel department and was quite surprised to see an increase in my gas mileage. That translates to quite a lot of fuel savings! I was quite curious as to how this works so I did a bit of Googling. 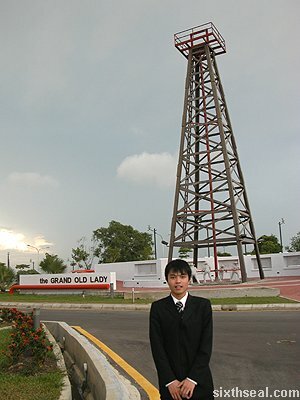 It turns out that synthetic low viscosity motor oil have oil molecules of a small uniform size as compared to those of regular non-synthetic oils. This decreases friction and improves fuel economy. You can save up to 1-7% just by switching your stock motor oil to a fully synthetic brand. Speaking of gas, I also got a full tank of Shell V-Power Racing with Friction Modification Technology. 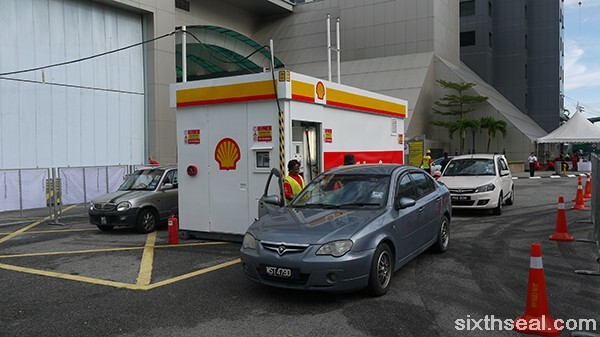 This isn’t the Shell V-Power 97 you see at Shell stations but a higher grade of fuel which allows the engine to turn more freely. I’ve missed this since I’ve used up my tank of Shell V-Power Racing and the gas station I usually go to doesn’t have it. The performance boost that I got while using it was quite remarkable – the engine really delivers more power to the wheels, in a measurable way. 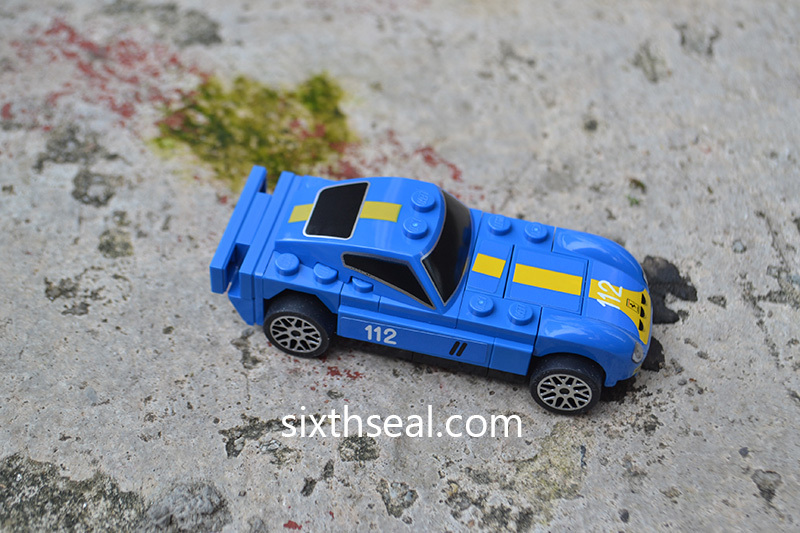 You can actually feel the car engine turning more freely and going faster, with more power whenever you step on the accelerator. My car is also less noisy now and I can feel a boost in power when I go up hills. 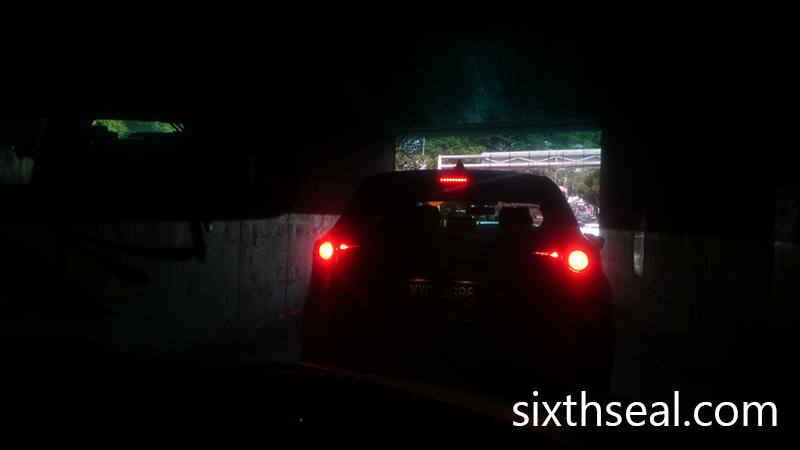 I’ve actually gotten stuck on trucking roads before while going to Sekeping Serendah. 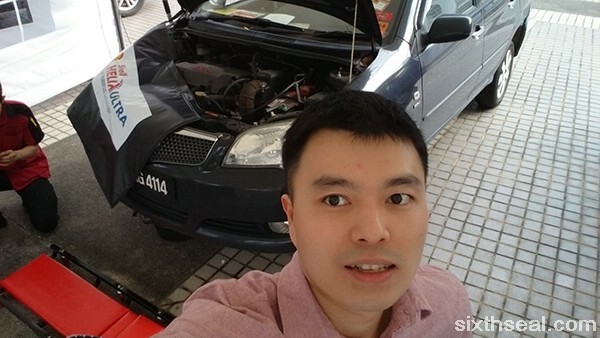 It’s coz my car didn’t have the torque to power through certain areas and I’m sure if I try it again with my tank of Shell V-Power Racing, I’ll breeze through it with no problems. It feels good to be able to drive with more power and at the same time reduce my gas mileage. Regardless of whether I’m making my way to a business meeting or going on a road trip, you just can’t beat better fuel economy and faster response while driving. This has gotta be the most interesting festival I’ve been to. 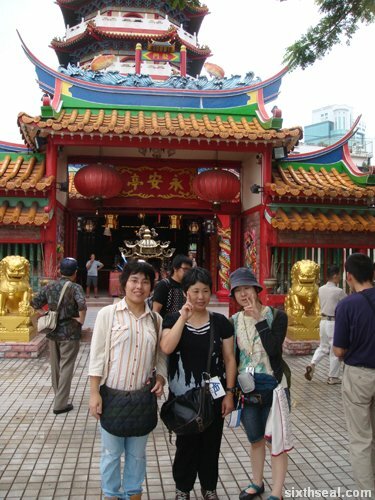 A lot of events are (to be brutally honest) a little dull and I go coz I have to, not coz I want to. 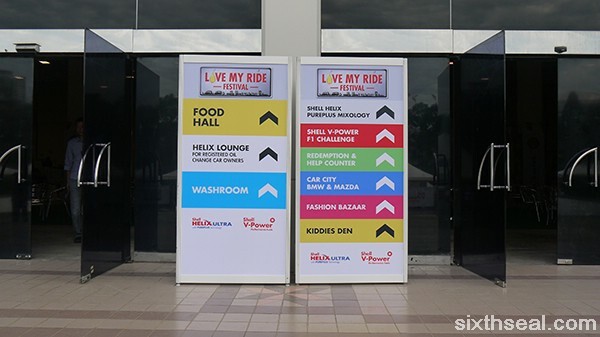 This is the total opposite – I was up bright and early on Saturday morning coz I wanted to be at the Shell #LoveMyRide Festival. There were more than 50 food trucks and stalls, racing simulators, 3D art fixtures, music performances and I got a free engine oil change and a tank of fuel to boot. 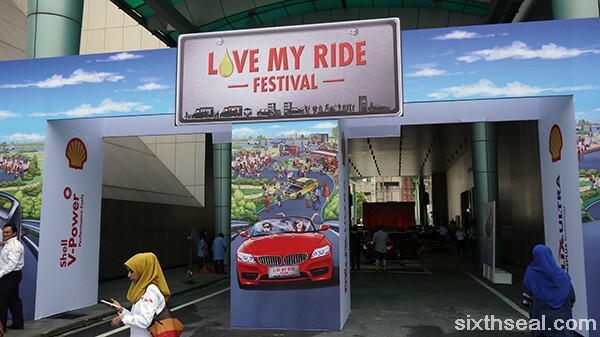 #LoveMyRide Festival was an outreach to all car enthusiasts (attendance is free) but it appeals to practically everyone. 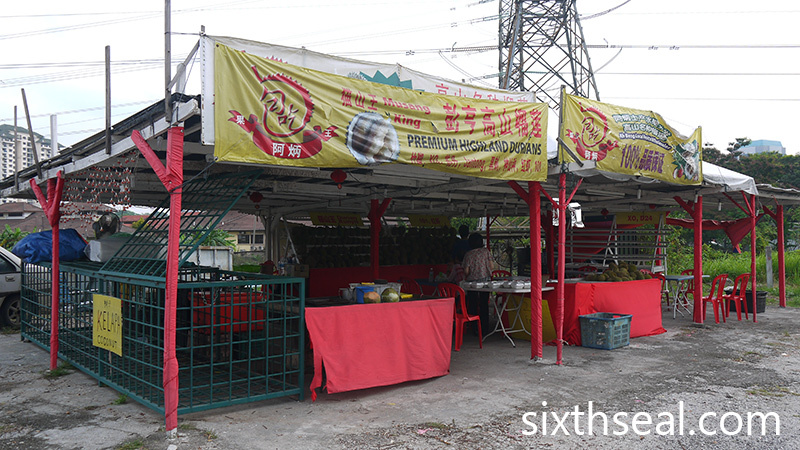 I was particularly intrigued by the gathering of KL’s best food trucks and the ultimate engine rejuvenation experience provided by Shell. I was allotted the 9:30 am slot and got assigned a number and a car bay to change my engine oil. 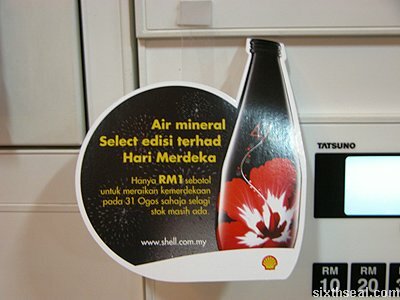 The kind people of Shell gave this to 500 lucky winners who registered at their website. 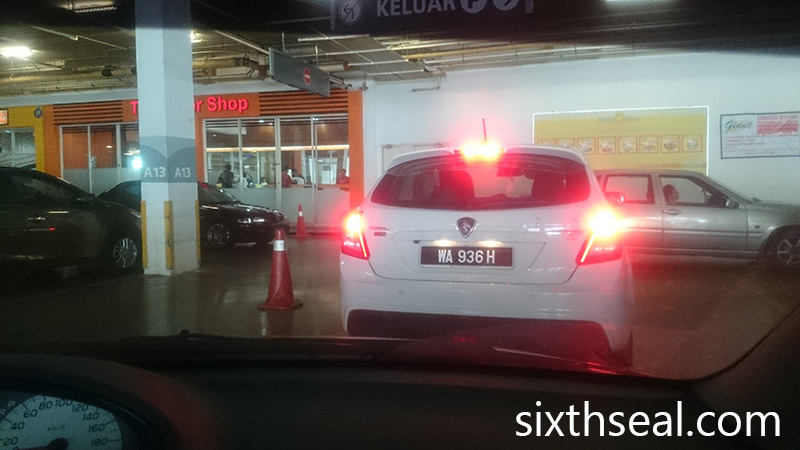 My car (a Toyota VIOS) was due to have the next engine oil change anyway, so this was great timing. 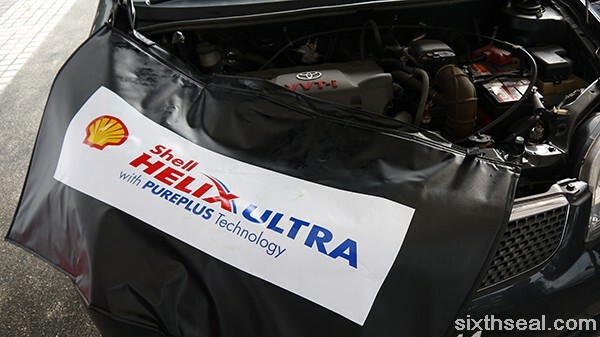 Shell provided the correct oil filter and changed my engine oil to Shell Helix Ultra with PurePlus Technology. This is Shell’s most advanced motor oil and the first one ever to be designed from natural gas with PurePlus Technology. It’s the best motor oil in the market which also contains Active Cleansing Technology additives to clean my car from inside out! 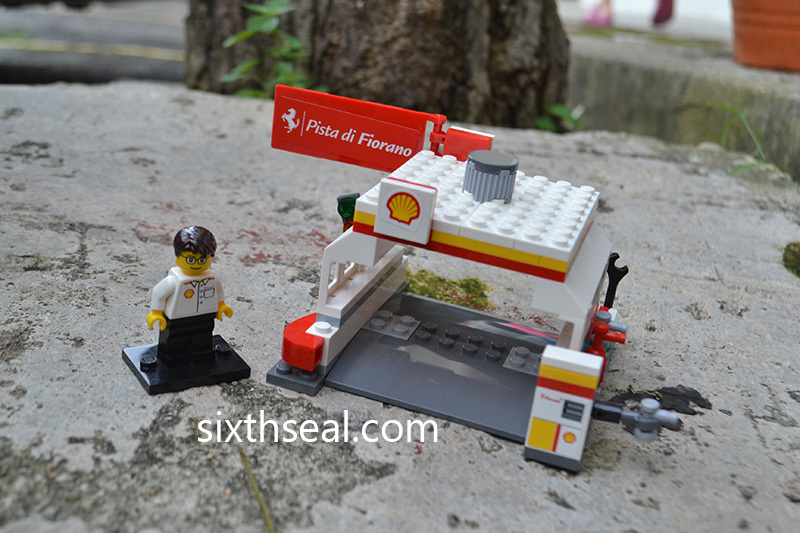 You can find out more about Shell Helix Ultra with PurePlus Technology here. 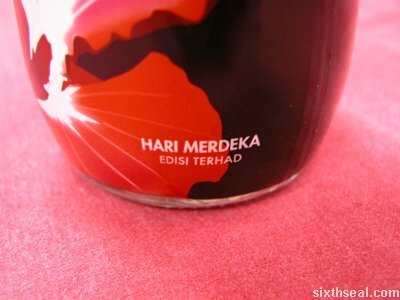 This is the engine oil that was provided gratis to the winners. 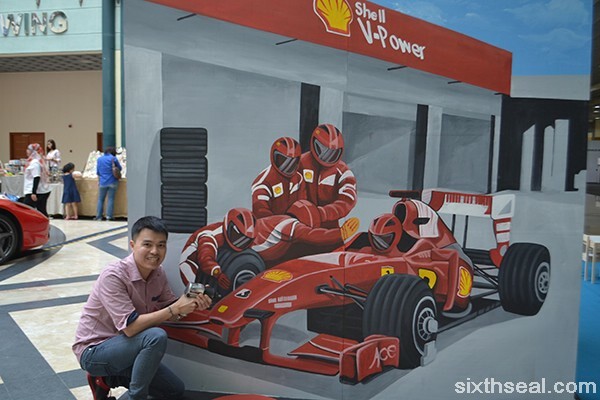 I could chill out at the Shell Helix Lounge while my car was getting its ultimate engine rejuvenation and I took the time to enjoy the cars, music and food they had on offer. 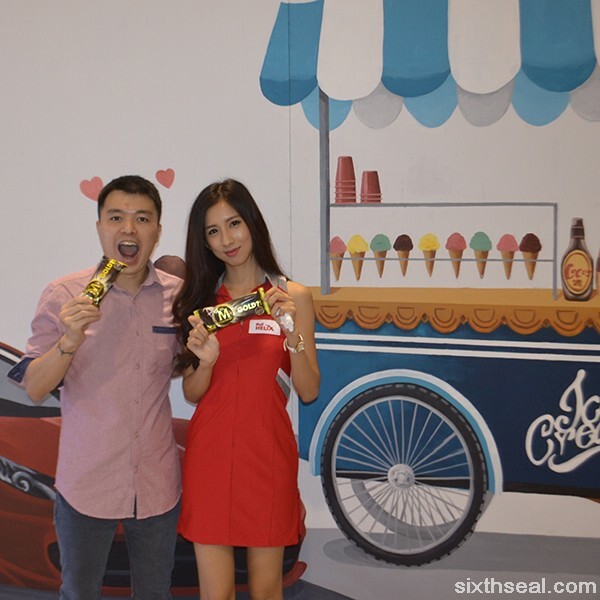 Each visitor was given a limited edition map that can be used to complete fun activities and get stuff like free ice cream and Coke upon completion. 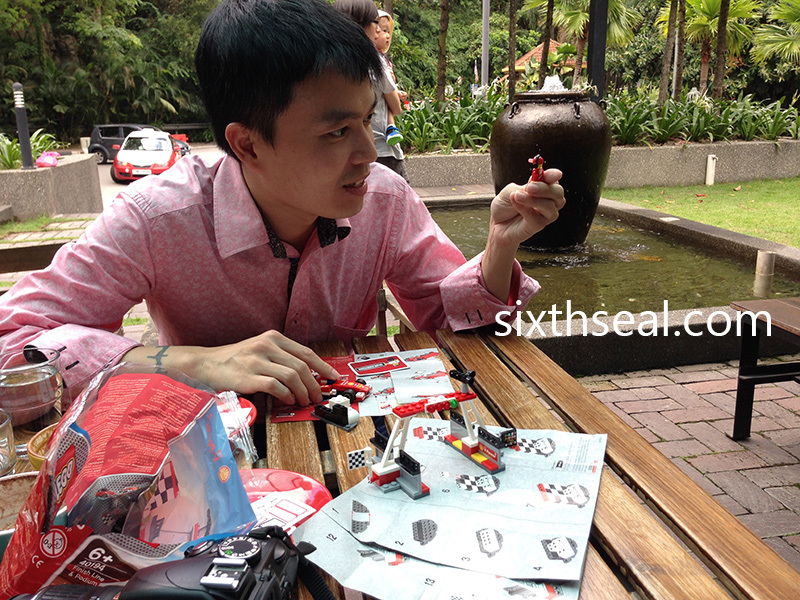 You’ll also get a loaded goodie bag if you finish visiting all the attractions and activities. First up was a photo at one of their 3D art installations. I chose this one coz it looked really cool. That’s a real automatic screwdriver BTW. There was also a deli2go where you can get discount vouchers from a memory game. The people there were kind enough to give me a complimentary iced Americano when they saw my half-asleep countenance. Haha. I also participated in the Shell Helix PurePlus Mixology Masterclass. 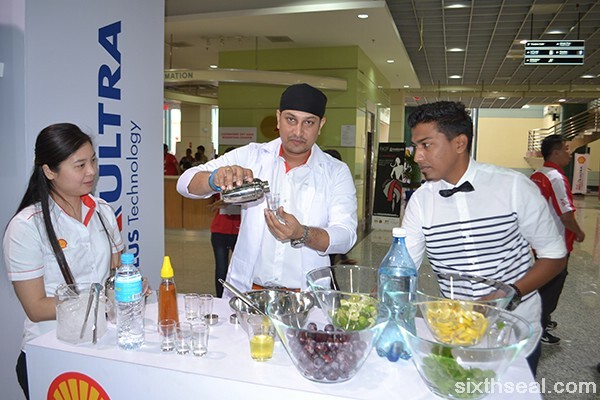 It’s was a live mocktail mixing session to demonstrate Shell Helix Ultra’s patented GTL (gas to liquid) process where you get to play around with various fruit (to represent base oil) and vegetable juices (to represent additives). I sampled my own creation and pronounced it good. Free ice cream was provided to members of the public, which was awesome coz it was a very hot day. 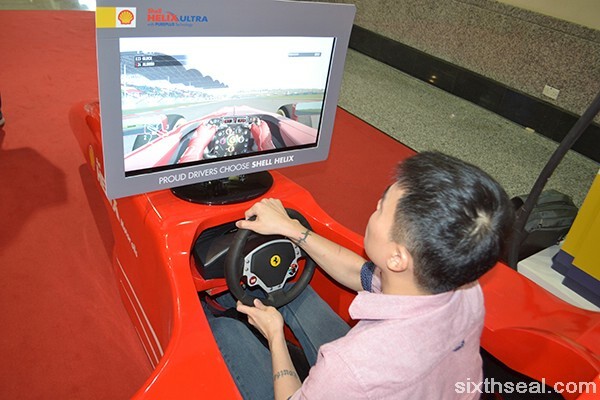 Next, I went to the Shell V-Power F1 Challenge where I tried to win a Sony PS4 console. This is very interesting and as authentic as you can get without climbing into a multi-billion dollar F1 machine as you have to factor in the gas (fuel) aspect of racing as well. 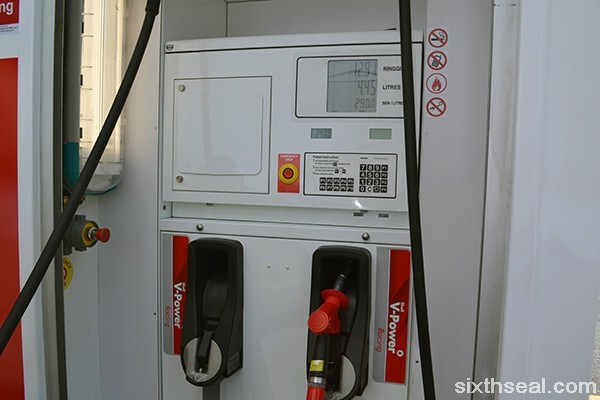 You’re allowed a certain amount of petrol which you have to pump yourself – more means you get to drive longer but your time is penalized. I just made it to the cut-off point and climbed into the F1 cockpit. I tried my best but only came up to #9 at the end of the day. I didn’t get the PS4 but at least it was fun. There was a fashion bazaar there was well. 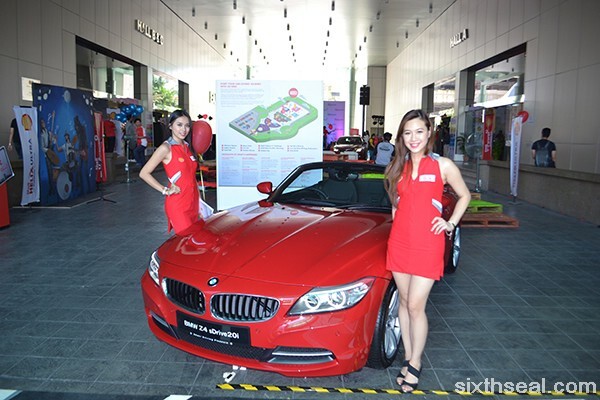 Like I said, this caters to everyone, not just car enthusiasts. 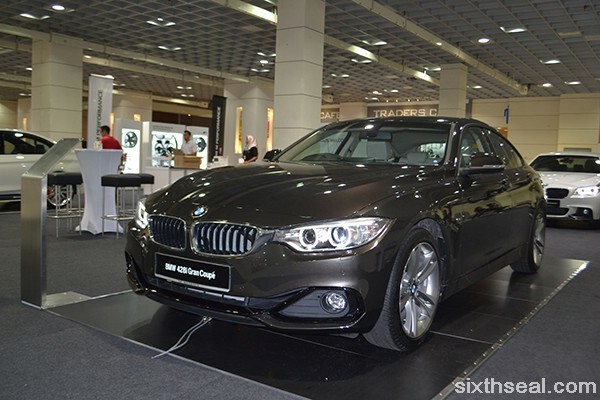 BMW was also there and featured some of their cars like the BMW 428i Gran Coupe. 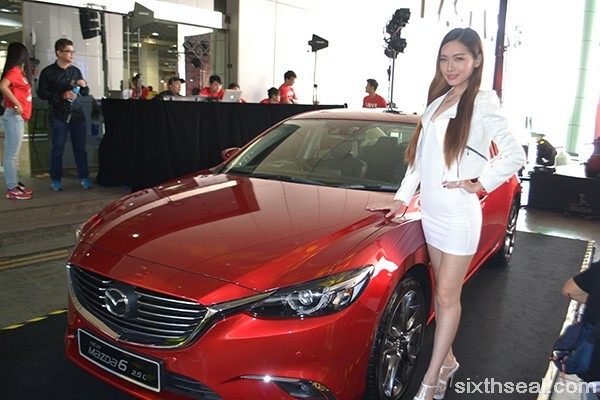 …as well as the new Mazda 6 SKYACTIV 2.5L. 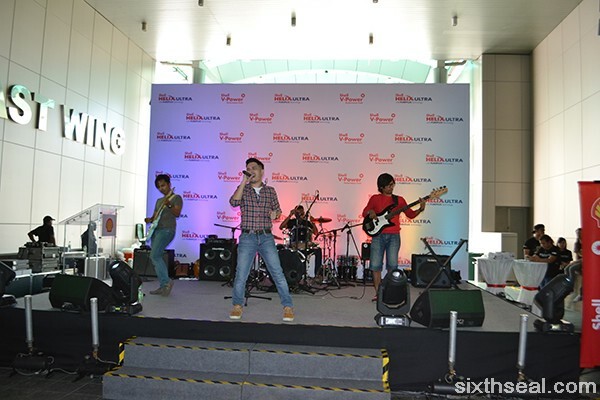 iamNEETA got on stage at 12 pm to perform. I’ve seen their videos online before and I thought they were great. Diandra and Reza Salleh also did sessions on the stage. You can also go on test drives by Mazda and BMW if you want. I registered but unfortunately the nice people at Shell called to tell me my car was ready so I told the people at the test drive center to give it to the waiting list (there was a long one). 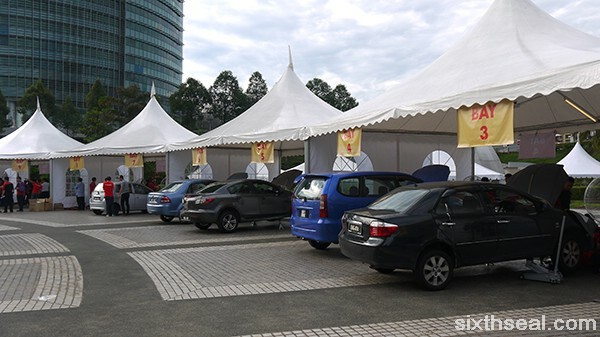 I collected my car after the Shell Ultimate Engine Rejuvenation session and found out that I was part of a Malaysian Book of Records for the most number of cars to do an oil change under 12 hours. 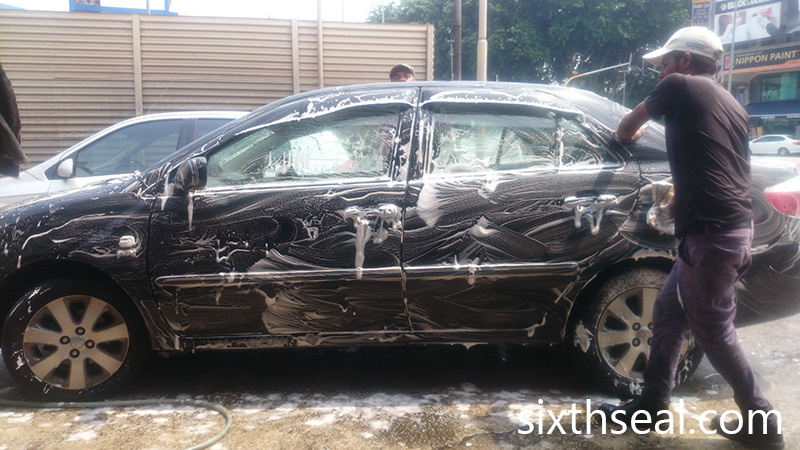 In total, 500 cars underwent the oil change during the two days #LoveMyRide was on. Pretty neat, huh? 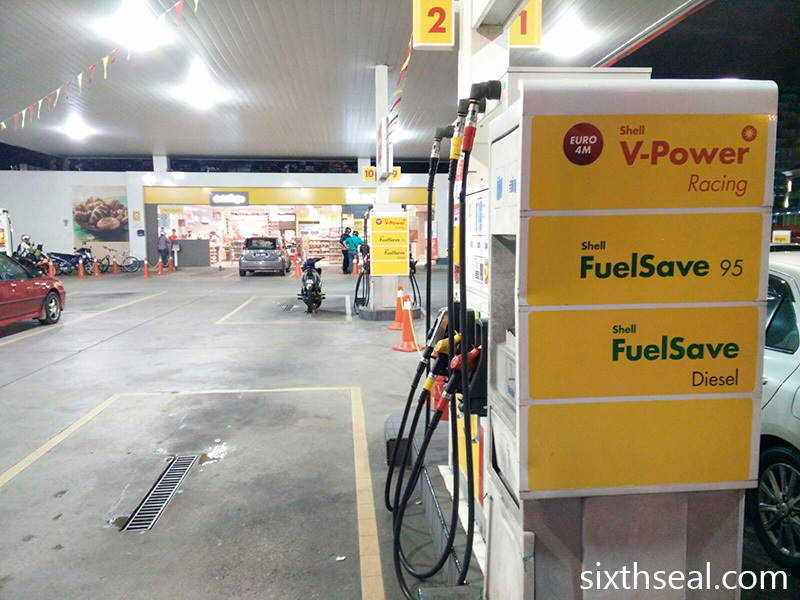 I was given a voucher for a full tank of Shell V-Power Racing, the top-of-the-line fuel from Shell. I didn’t know I was going to have this so I actually filled my tank just the day before – nevertheless, they managed to get 4.45 liters inside. The people attending the pump were nice enough to squeeze in all that they could. I was quite impressed they could get that much inside. 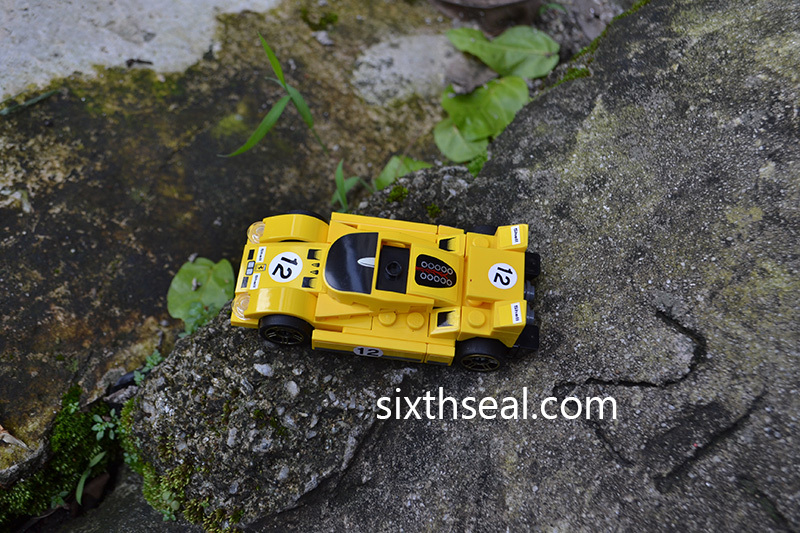 I’ll fill it up with more Shell V-Power Racing soon so I can do a proper review about the fuel. 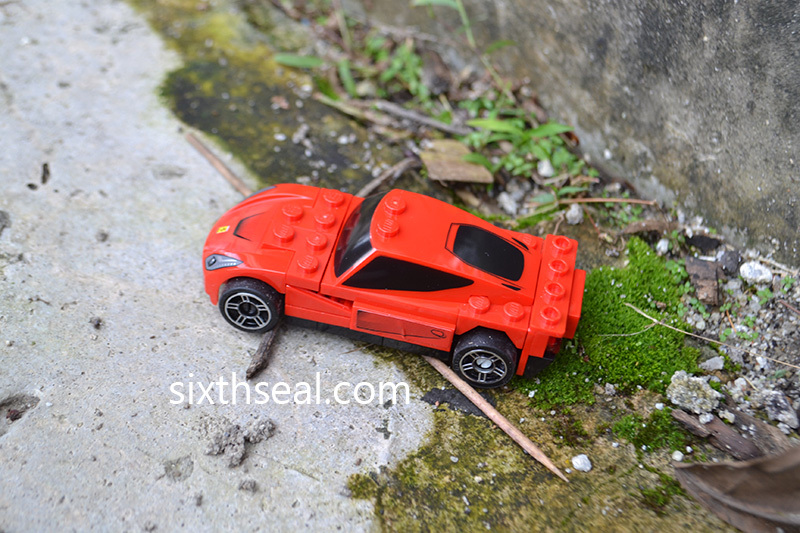 It comes with Friction Modification Technology which allows the engine to turn more freely. I went back to the festival and checked out all the food trucks there. 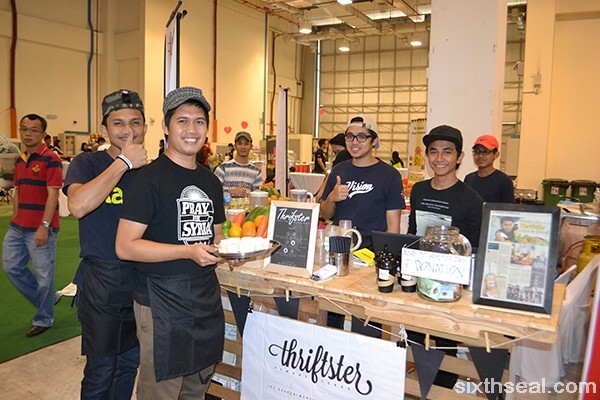 The Pisang Cheese, Little Fat Duck, La Churreria, Sangkaya and more were there. My better half couldn’t attend due to a prior commitment so I bought a lot of food back for her. 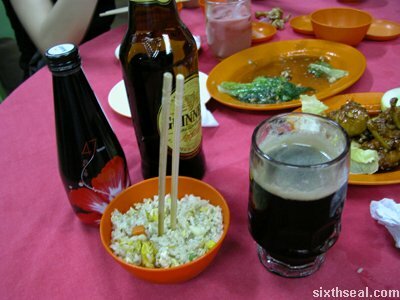 I think I spent more than RM 90 on food and drinks alone! 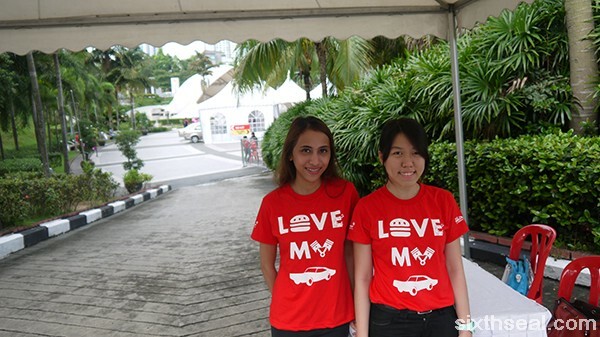 Shell #LoveMyRide was so awesome that we actually turned up the next day again. 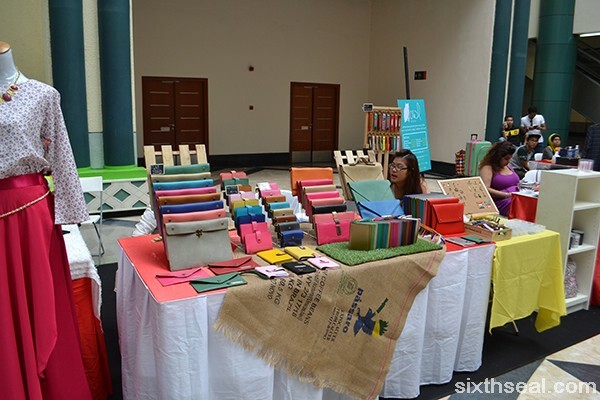 They had a “Kiddies Den” section where you can draw and do sand art activities. I have to say that this is one of the best festivals I’ve ever attended and will definitely look forward to the next similar event by Shell! Shell FuelSave Challenge 2014 starts now! I realize there is one thing that my humble hometown has that not many other states have – a traffic garden! 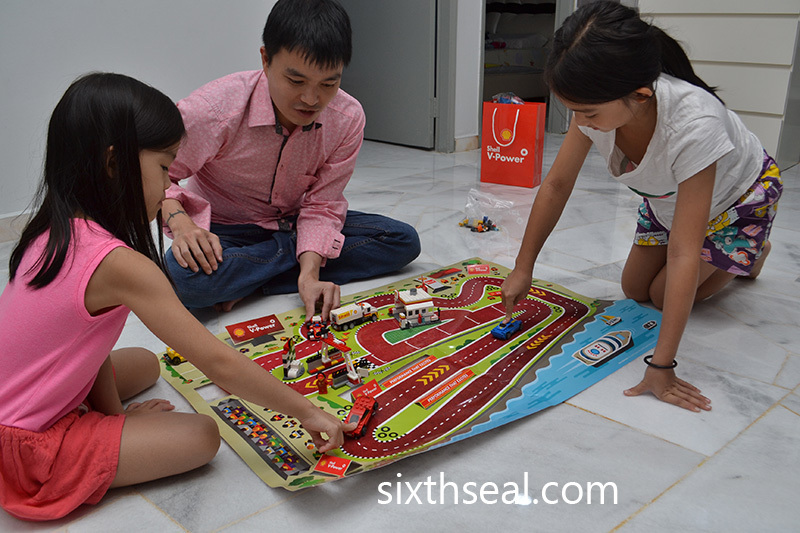 I come from Sibu and we have a miniature town complete with small stop signs, lanes that have directions and even mini traffic lights! It doubles as a favorite jogging spot but that was how I learned the fundamentals of driving by pretending to be a car on my cycle as a 9 year old kid. 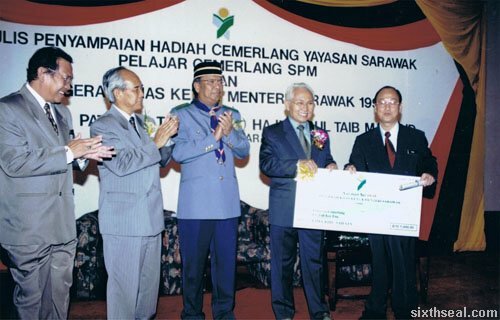 I was quite involved in local events back when I was working in Sibu and I remember Shell did a traffic event there too. However, there’s something more exciting coming up and there’s going to be auditions in Johor Bahru, Kuantan, Penang, and Selangor! 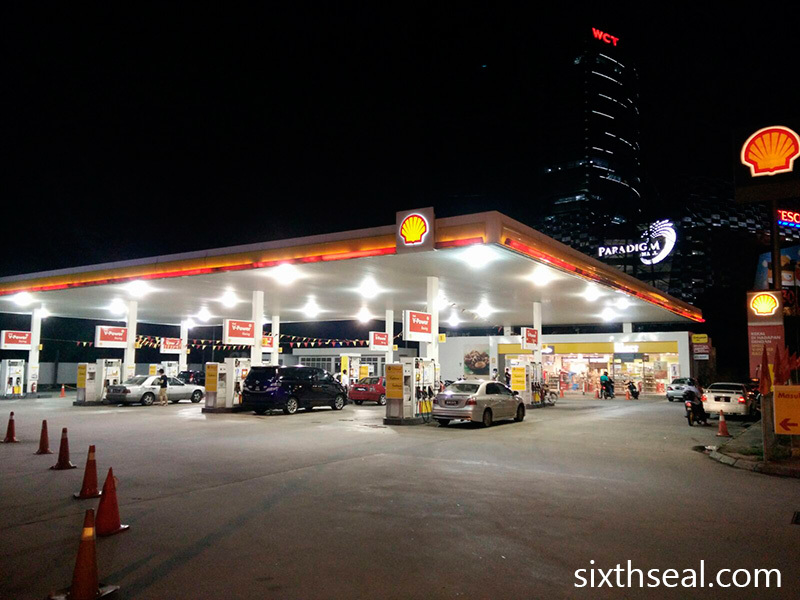 The 6th Shell FuelSave Challenge is back! 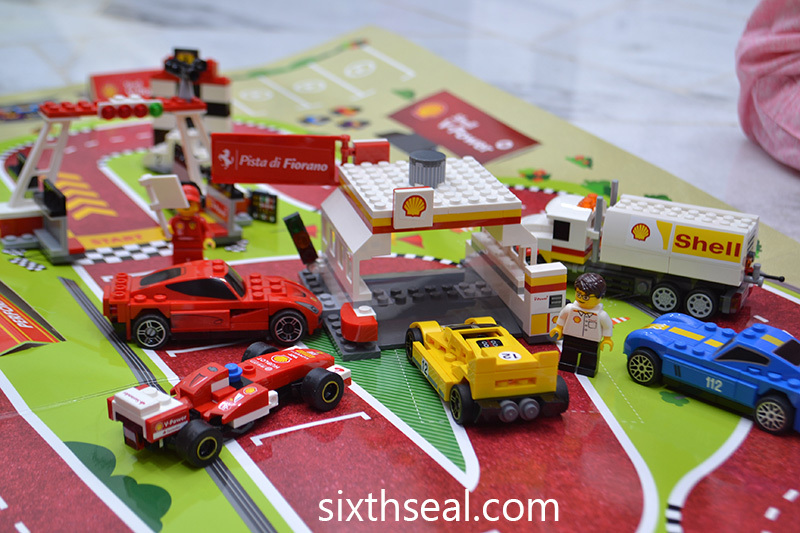 The Shell FuelSave Challenge is an annual driving event which showcases how easy it is for everyday individuals (that’s you and me) to become advocates of fuel-saving and be awarded when they practise the Shell FuelSave Tips, coupled with the use of Shell FuelSave 95 – a Fuel Designed to Last Longer per Tank. Interesting fact: Did you know that UPS in the United Sates almost never make left turns? Their courier delivery service trucks makes a right turn 90% of the time to save on fuel! This was actually tested in an episode of Mythbusters and it turned out to be true! The episode of Mythbusters was dedicated to “hypermiling” and refers to a series of techniques for energy efficient driving. 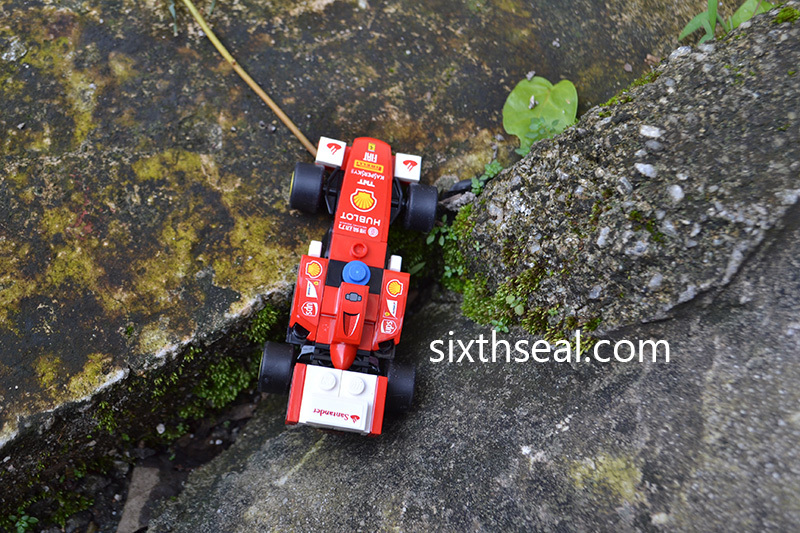 Shell FuelSave Tips #1: Keep your tyres at the right pressure. Correctly inflated tyres are safer, last longer and improve fuel economy. 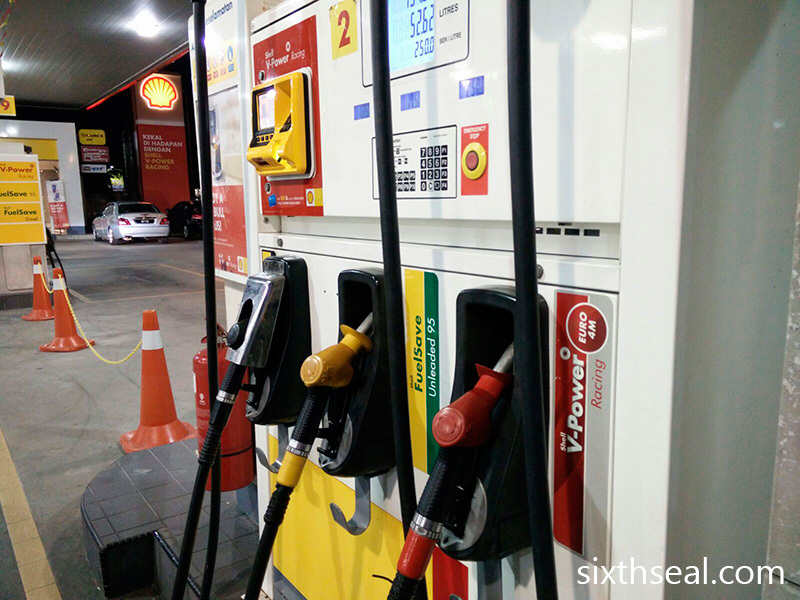 Shell FuelSave 95 is formulated with Active Efficiency Ingredients designed to improve fuel and engine efficiency as well as save costs. 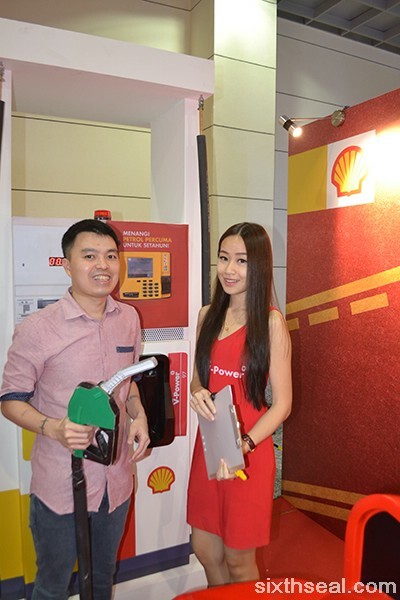 This year, participants will be able to enhance their knowledge on making smart choices on the road though the Shell FuelSave Challenge, which will have both a real-life and online component where you have the opportunity to win exclusive prizes and rewards! 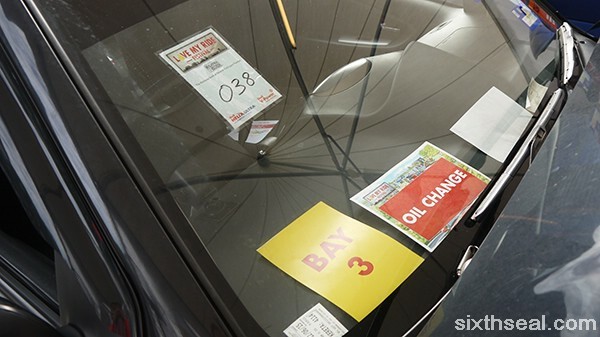 Shell FuelSave Tips #2: Use air conditioning sparingly. Air conditioning puts added strain to the engine and uses fuel to operate, limit use to particularly hot days. 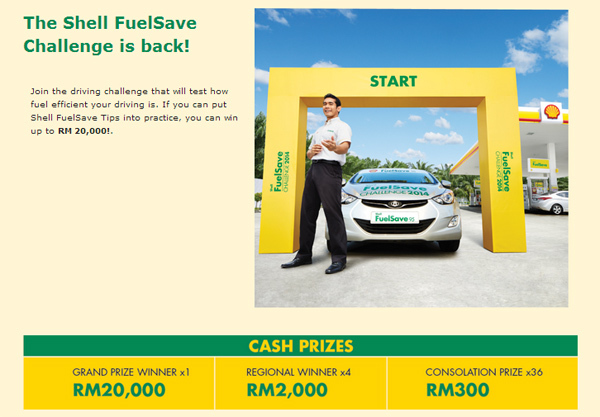 Shell FuelSave Challenge 2014 is back and you can join the driving challenge that will test all your preconceived notions of fuel efficient driving! 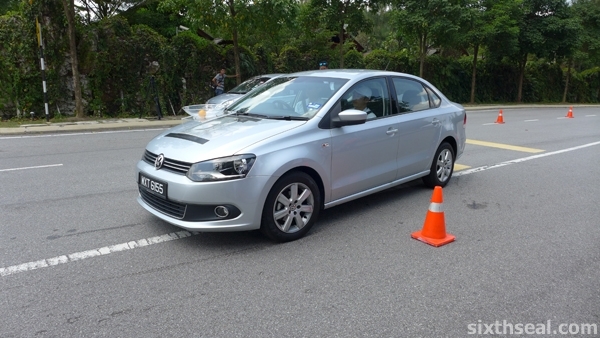 You think you can squeeze the most kilometers out of a single litre of gas? 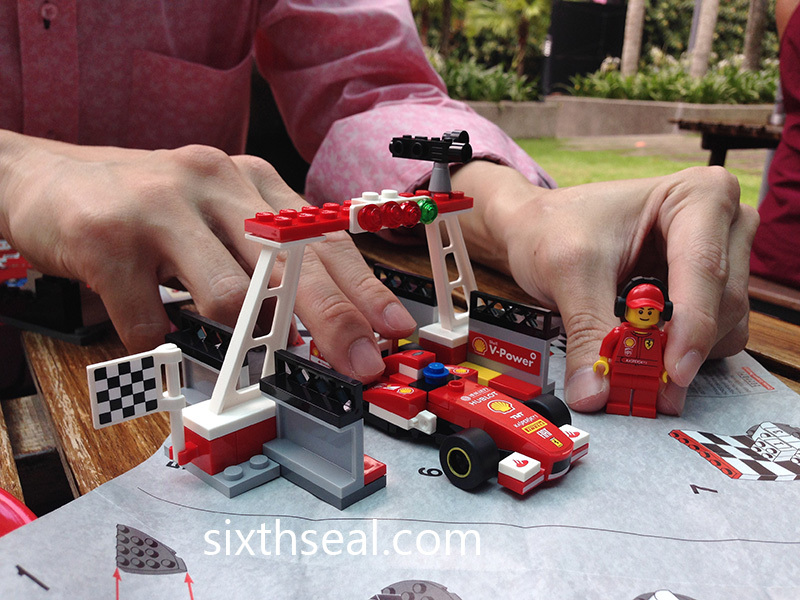 This challenge is for you! There will be four regional winners (North, East Coast, Central and South) for RM 2,000 each and the best of the best will come together for the National Finals! 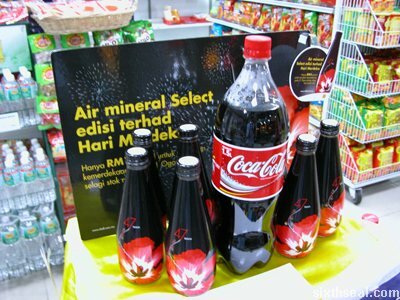 Just register and stand a chance to win the RM 20,000 grand prize! 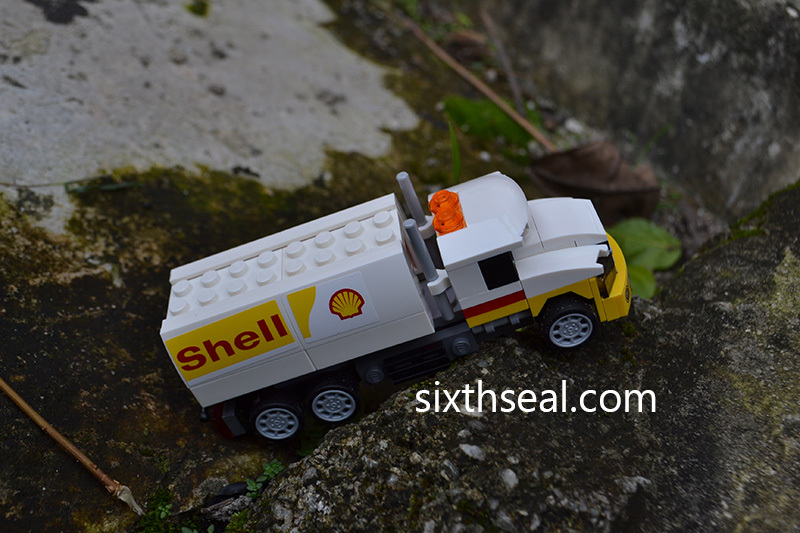 Shell FuelSave Tips #3: Avoid carrying excess weight. Extra weight affects your fuel efficiency. Keep your boot and back seat clear of unnecessary items that just add weight to your vehicle. 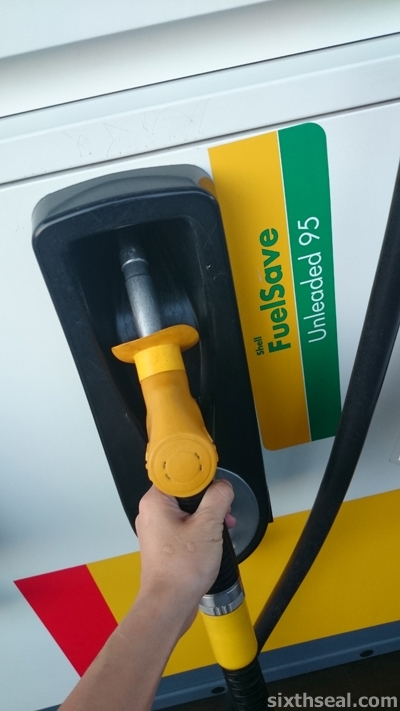 You can also participate the Shell FuelSave Journey after registering online – there will be tasks and “missions” that can be completed by just answering a few questions and clicking a mouse button. This is the online bit if you’re more inclined to participate in a digital format. 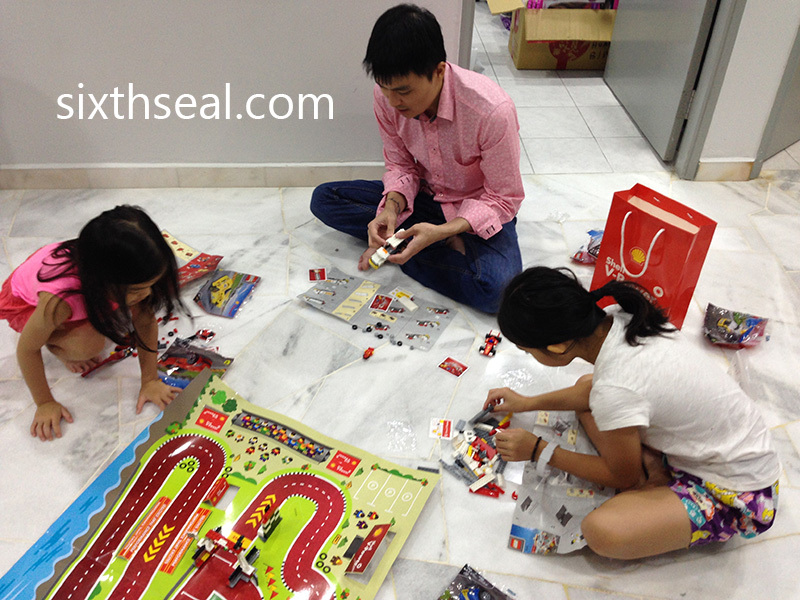 There will also be exclusive prizes and rewards even if you don’t make it to the Driving Challenge! 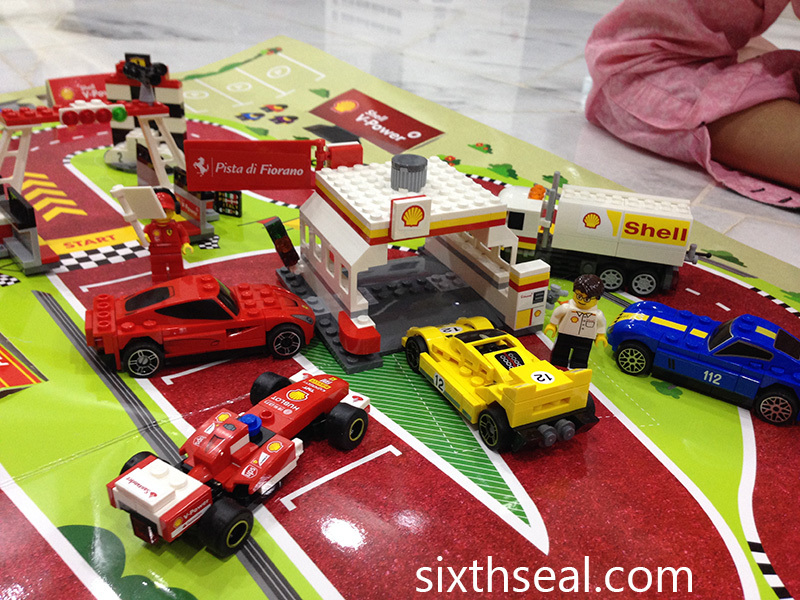 Start your engines now at the official Shell FuelSave Challenge page! dinner with friends and I got a couple of those. 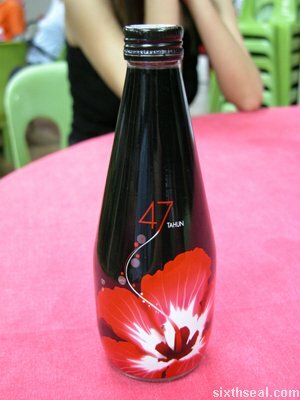 bottle to celebrate Malaysia’s 47th Independence Day. 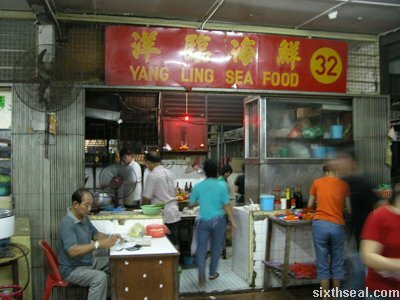 We went to Yang Ling Sea Food (Stall 32) at Pending.